At the Cosmopolitan, you’ll find three different pool atmospheres that overlook the heart of the strip. Outside the Cosmo walls, you’ll find top-rated shows and entertainment, swanky lounges and nightclubs, and world-renowned buffets and fine dining. After a full day of conference learning, you’ll find a whole night of exhilarating fun. DRIVE '18 was filled with insight, education, and fun...just take a peek at the highlights from 2018! DRIVE ’19 is on track to be even bigger and better, so you’re in for a really great time! Located in the heart of the Las Vegas Strip, The Cosmopolitan is the epitome of chic and modern. Breaking the mold on ordinary, it offers every guest the exciting experience they desire. Rooms designed for intimate living and adorned with breathtaking views offer the ideal setting to enjoy the finer things. From exquisite dining with renowned chefs, to beautifully designed lounges and a nightlife packed with pure entertainment, The Cosmopolitan is a refreshing delight. Create your own experience and save big with exclusive discounts from Vegas.com, where you'll find the guaranteed best prices on Las Vegas shows, tours, and attractions. Cirque du Soleil is pleased to extend discounted show ticket rates for CU Direct’s DRIVE ’19 Lending Conference attendees and guests. These exclusive rates are available at all six Cirque du Soleil Las Vegas shows, while supplies last. 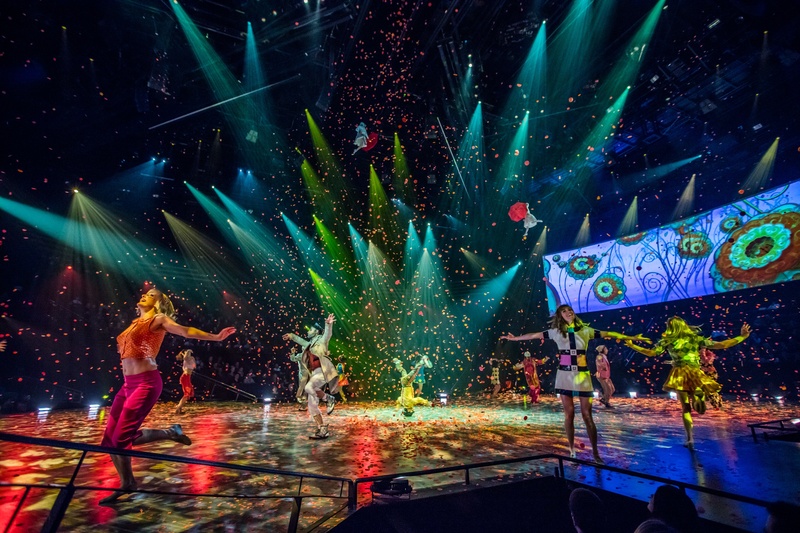 Cirque du Soleil Las Vegas shows include Mystère™ at Treasure Island, “O™” at Bellagio, KÀ™ at MGM Grand, The Beatles™ LOVE™ at The Mirage, and Michael Jackson ONE™ at Mandalay Bay. Blue Man Group is pleased to extend discounted show ticket rates for CU Direct’s DRIVE ’19 Lending Conference attendees and guests. Blue Man Group will rock your world, blow your mind, and unleash your spirit. Leave your expectations at the door and let three bald and blue men take you on a spectacular journey bursting with music, laughter and surprises. DARE TO LIVE IN FULL COLOR.